Get a glimpse of aquatic life with a visit to the National Aquarium located at Baltimore’s Inner Harbor. The Aquarium is home to nearly 17,000 specimens representing over 750 species, including sharks, alligators, turtles, frogs, and more! Aquatic treasures from around the world are featured at the Aquarium’s permanent and temporary exhibits. Topics include the Amazon Rain Forest, Atlantic Coral Reef, dolphins, and animals from Australia. 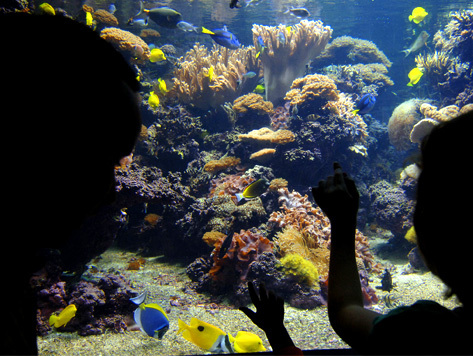 The Aquarium has won numerous awards for its research and unique displays, and was voted one of the top destinations in Baltimore for families to visit.